You are here: Home / About us / How does our process work? 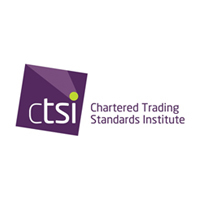 Once we receive the complaint from a customer we will provide a reference number which will be used in all contact with us. This will look something like R123557. We will assess the complaint to establish whether it is something we can look into. If we can take the complaint further, we will continue to investigate to try to resolve the complaint. If the complaint is not something we can look into, we will let you know why. We will also let you know where you can take it next and we may be able to transfer you to someone directly who may be able to help you further. If the complaint is taken further, we will contact the service provider to request a formal response to the complaint. This should be provided within two weeks. The case will be assigned to an individual Ombudsman for further investigation. 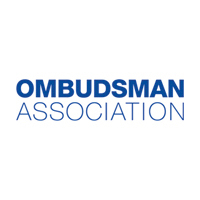 The Ombudsman assigned will contact both parties to introduce themselves and to inform both parties of the next steps. We will assess the application and the service provider’s response, weighing up the evidence provided and taking into consideration the rights and obligations set out in law and what is fair, reasonable and practical. If needed, we may request further information or evidence. The first stage of resolving the complaint is mediation which means that we will try and encourage the parties to reach an agreement. At this stage, we will be in touch with both parties to see if we can bring the parties closer together. If an agreement is reached, we will close the case. If an agreement is not reached, we will move to the second stage which is adjudication. This is where the Ombudsman will make an independent decision on the case outcome, based on the evidence and information provided. Once the final decision is made, the case is closed. The final decision will be binding on the service provider if you accept it within 20 working days. If you do not want to accept it, you do not have to and you remain free to pursue your complaint through another organisation, for example, by taking legal action through the courts. For more information on our service, please see our ‘Consumer Guide’ and/or our ‘Quick Start Guide’ which are available in both English and Welsh.